This week, Gov. 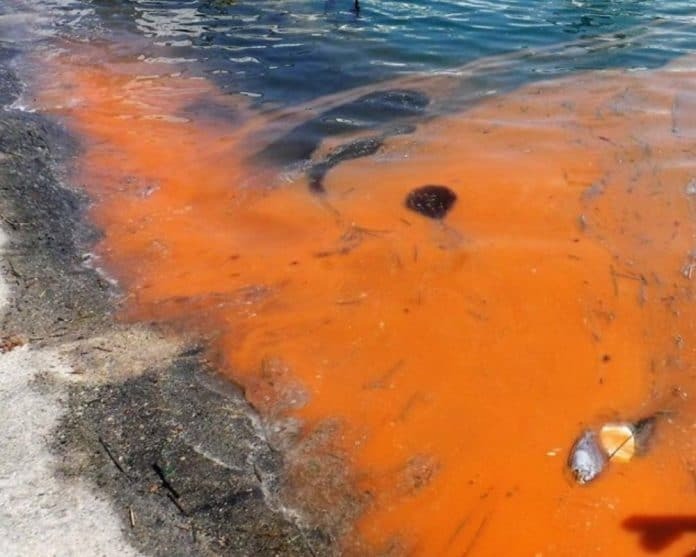 Rick Scott announced the Florida Department of Environmental Protection (DEP) will send an extra $4 million in grants to local communities impacted by red tide. With these latest funds, DEP has sent $13 million in grants to help Floridians hurt by red tide. Scott made the announcement on Tuesday. “In Florida, we know that when red tide makes it to our shores, as it has for generations, this naturally-occurring algae can have unexpected and prolonged impacts on our Gulf Coast. That’s why we will not stop providing relief and resources to every impacted community dealing with red tide. Since July, we have dedicated $13 million in grants to those battling red tide and blue-green algae and we will continue to support Florida’s communities,” Scott said. “This funding is part of the grant program that was launched in July by DEP, which has provided a total of $13 million in funding. This is in addition to the $1.2 million announced for FWC’s redfish hatchery, $100,000 for Mote Marie Laboratory’s red tide response, and $500,000 for Visit Florida to create an emergency grant program to assist local tourism development boards in counties affected by the naturally-occurring red tide,” Scott’s office noted. That $13 million includes more than more than $1.3 million for Pinellas County; $750,000 for Manatee County; more than $190,000 for Collier County; almost $1.5 million for Sarasota County; $3.9 million for Lee County; and $700,000 for Martin County. Back in August, Scott called a state of emergency for the counties impacted by red tide. He also reached out for federal help. Earlier in the month, Scott asked the U.S. Small Business Administration (SBA) to issue an Economic Injury Disaster Declaration to help businesses dealing with red tide which was approved.